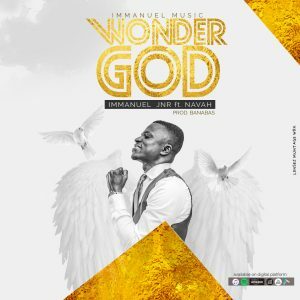 After six years of quietude when he participated in the TV3 Mentor reality show season vi IMMANUEL Jnr whose stage name was Eman finally released new single titled “WONDER GOD ” which features Navah. WONDER GOD is a song that avows the wondrous nature of God and offers an atmosphere for worship. IMMANUEL OWUSU JNR fellowships with the Power Chapel Worldwide headquartered in kumasi and is an astute member of their choir. He is married to beautiful Irene and has great interest in philantropical work as well. 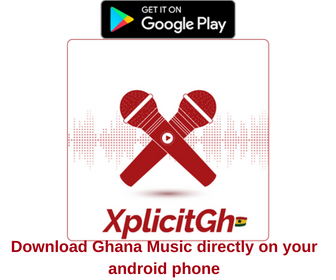 IMMANUEL JNR is a multi talented singer who loves the organic Ghanian high life music . With an album to his credit IMMANUEL JNR seeks to be used as an instrument of nature to bless the body of Christ through worship and praise and is intrinsically motivated by the many beautiful things God has done in the lives of many using worship as a residual. With a strong passion to also learn he draws strong inspiration from greats like O.J,Joe Mettle,Uncle Ato,Joe Beecham, Ernest Opoku jnr,Noble Nketia,Rev Kusi Berko of blessed memories,Nana Yaw Asare,Hannah Marfo,Juliet Antwi Amoah,Diana Hamilton,Nathaniel Bassey? Donnie McClurkin,Dr.Tumi and to mention but few. WONDER GOD is birthed out of the many wondrous things God has seen him through his life and the many other great things witnessed in the lives of others. This song is a household song that creates an aura of God for worship.